Minneapolis, Minn. (June 8, 2017) — Lurie, LLP was named to the seventh 2017 Accounting MOVE Project Equity Leadership Firms. It recognizes firms with a minimum of 50 employees, where women comprise at least 30% of partners and principals. 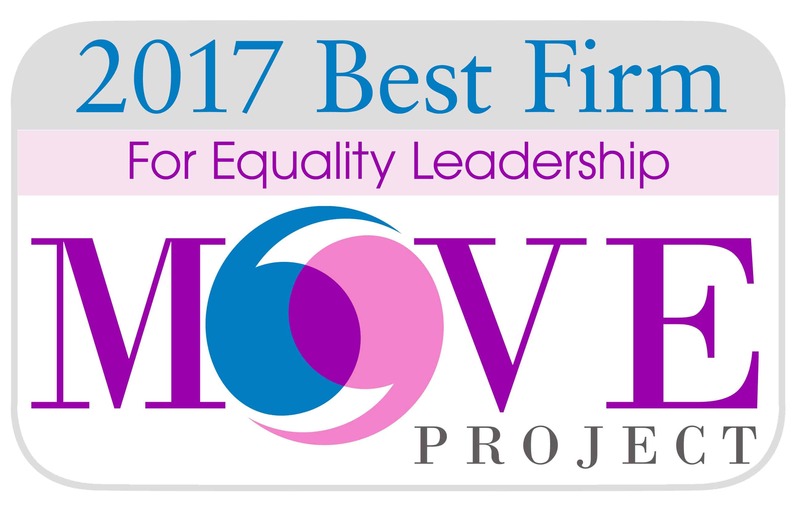 The MOVE Project is the profession’s only annual benchmark of the status of women in the leadership pipeline. “Innovative firms are finding that they win new clients when they clear the way for senior women to open new offices and new lines of business designed around workplace flexibility and collaborative growth strategies,” said Joanne Cleaver, president of Wilson-Taylor. Founded in 1940, Lurie LLP is a prominent Twin Cities CPA & Advisory firm providing accounting, audit, tax planning and retirement planning services to privately held and family businesses, as well as individuals. With more than 160 employees and memberships in both Moore Stephens North America and the Leading Edge Alliance networks, Lurie has the ability to serve clients across the United States and hundreds of countries worldwide. To learn more visit: www.LurieLLP.com or follow on Twitter: @LurieLLP.